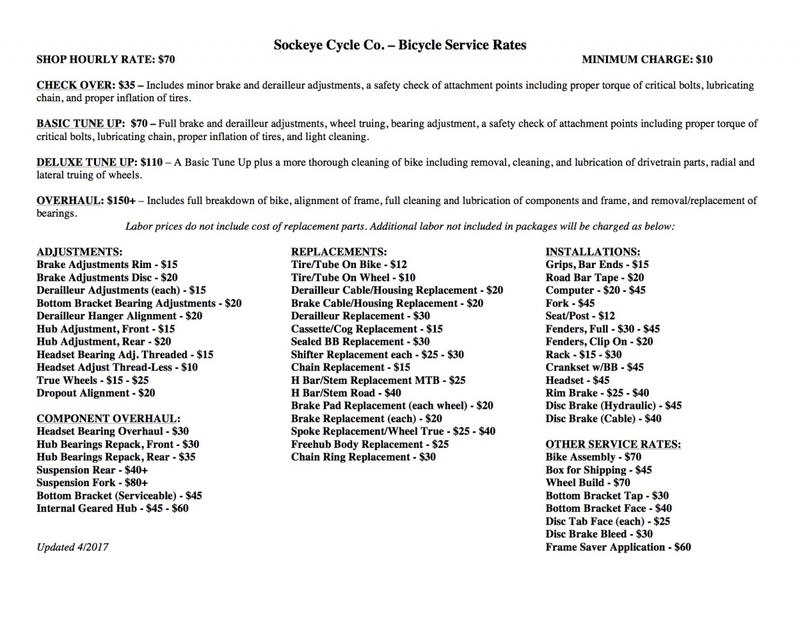 Our shops are staffed by certified and experienced bicycle mechanics. Our fast and dependable service will get you on the road and keep you moving, trouble-free. Bring your bike to a professional mechanic where there's no guess work, just good work. Our shop rate is $70/hour. We will provide a quote for all repairs. We strive to get most repairs completed by the next day. Many jobs can be completed same day.